Located at 609 N. Spurgeon St in Downtown Santa Ana, the developer proposes to build a four story building that includes 93 residential units of which 81 units are proposed as affordable units pertaining to households who earn less than 60 percent of the Area Median Income. 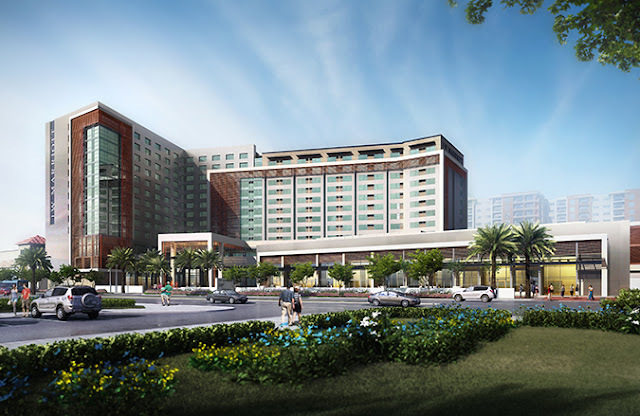 Of those 81 units, 33 units will be allotted towards Permanent Supportive Housing. 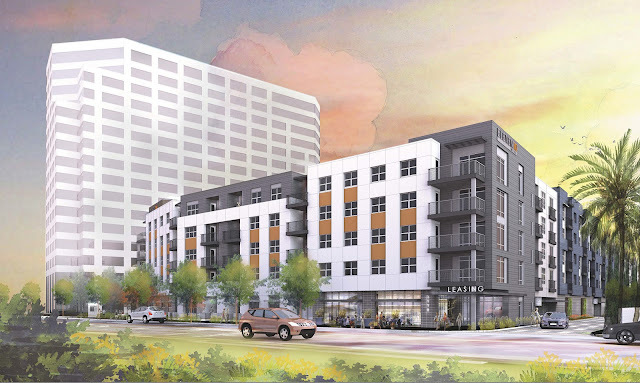 The developer also proposes up to 10 market rate residential units. 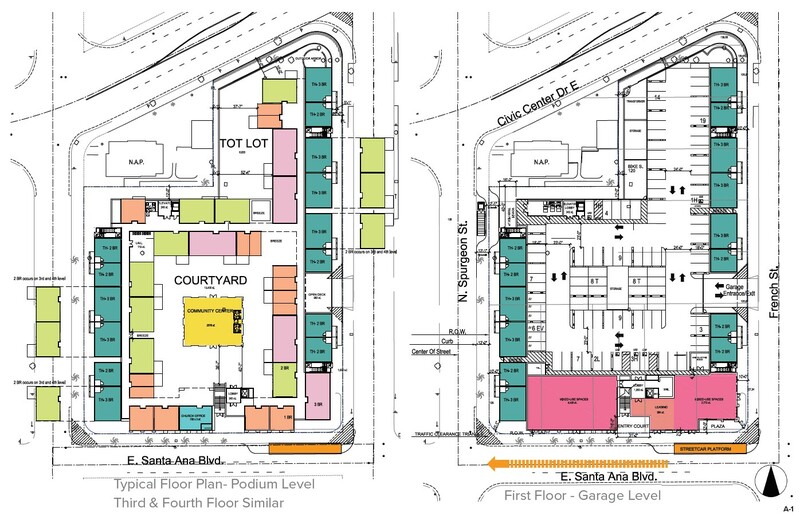 As mentioned earlier, the proposed development is adjacent to a future streetcar stop at Santa Ana Bl and French St as shown in the above site plan (orange rectangle). The future streetcar is the OC Streetcar which will be the first modern urban rail line in Orange County. OC Streetcar is a planned 4.15 mile streetcar line (each direction) which will have terminals at Santa Ana Regional Transportation Center and at Harbor Bl & Westminster Av. The streetcar uses a portion of the historic Pacific Electric (PE) right-of-way which used to have a rail line from Downtown Los Angeles to Downtown Santa Ana, but discontinued service in 1958. According to the OCTA project website, anticipation for the start of construction for the OC Streetcar is sometime this year with operations planned to begin in 2021.